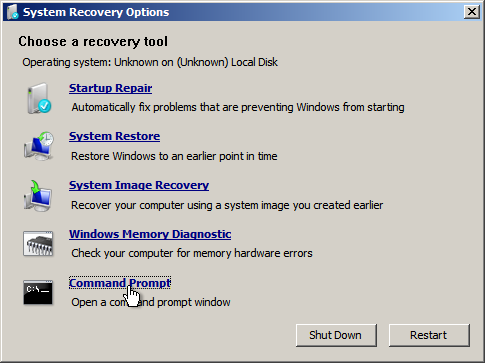 Why it does not show the Format option during reinstallation of Windows 7? I have Windows 7 installed in my computer. Now I want to reinstall it. I have 500 MB free of 19 GB on my C drive. 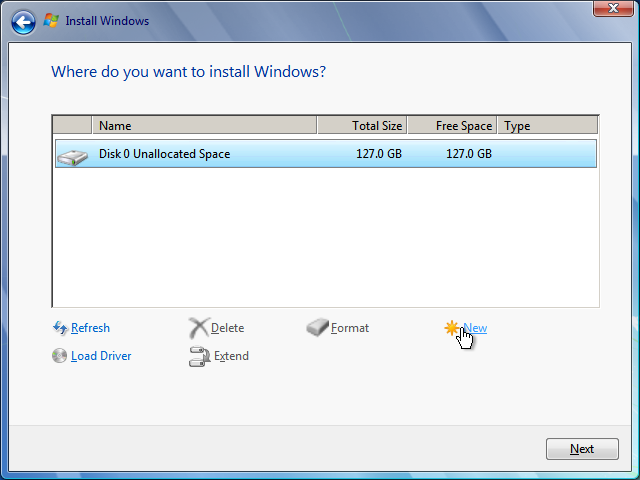 When it comes to the step of selecting a drive to install the OS, it says the C drive does not have enough space. 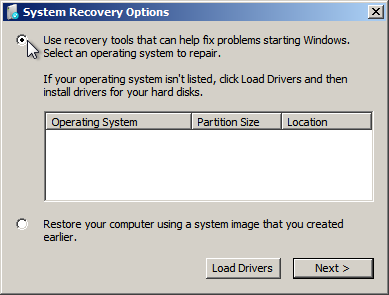 But the concerning issue is it does not show any Format option either, so I cannot reinstall Windows 7. 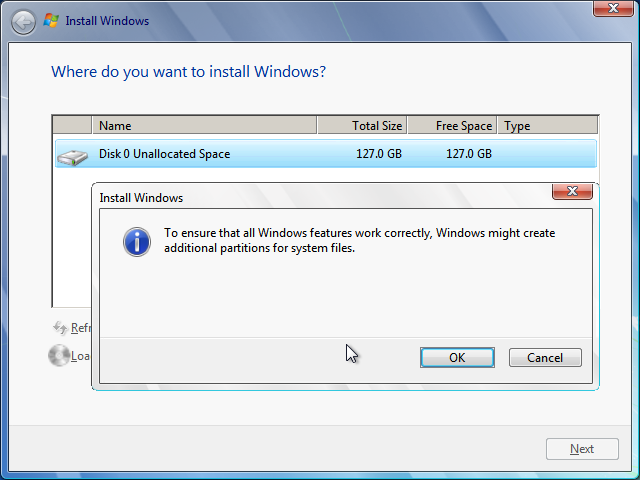 You need to delete both partitions when you get to that screen so that you see one whole Unallocated space. There should be a Drive Options (advanced) button/link in middle-right. Are you currently logged into your Windows OS while doing this or did you Boot from disc? 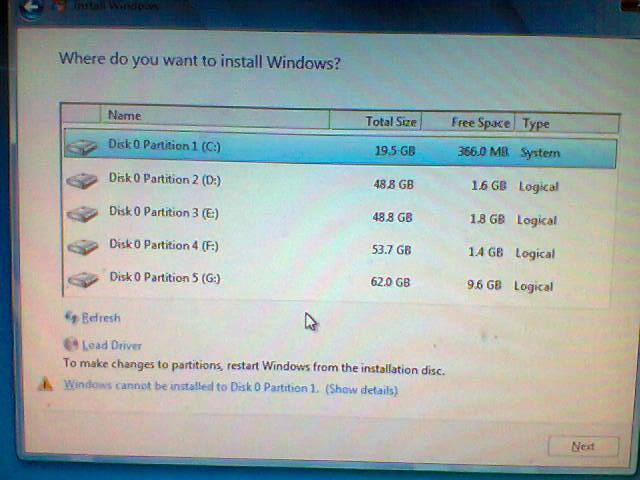 There is also a note at the bottom: Windows cannot be installed to Disk 0 Partition 1. (Show Details) so I would like to know, what are those details? Now 1 single active primary partition is ready and formatted as ntfs, close the System Recovery Options window to return to first screen, click Install now. Not the answer you're looking for? 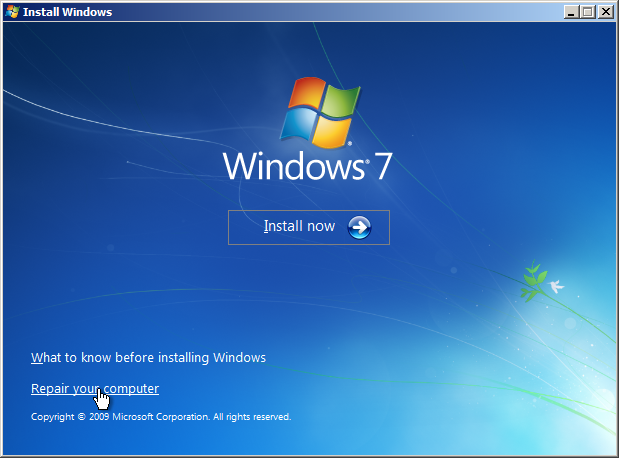 Browse other questions tagged windows-7 reinstall or ask your own question. 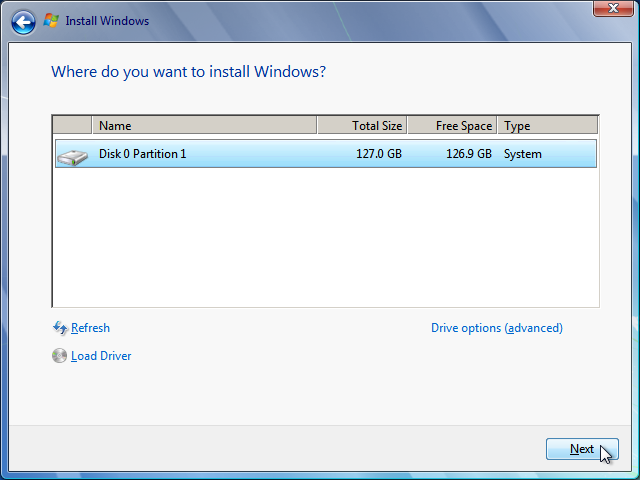 Why can't I format a 10 GB partition in Windows 7? 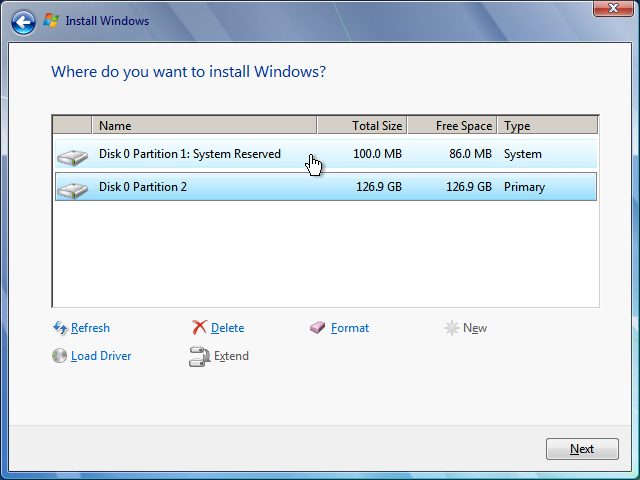 Why is the “Extend Partition” option disabled?